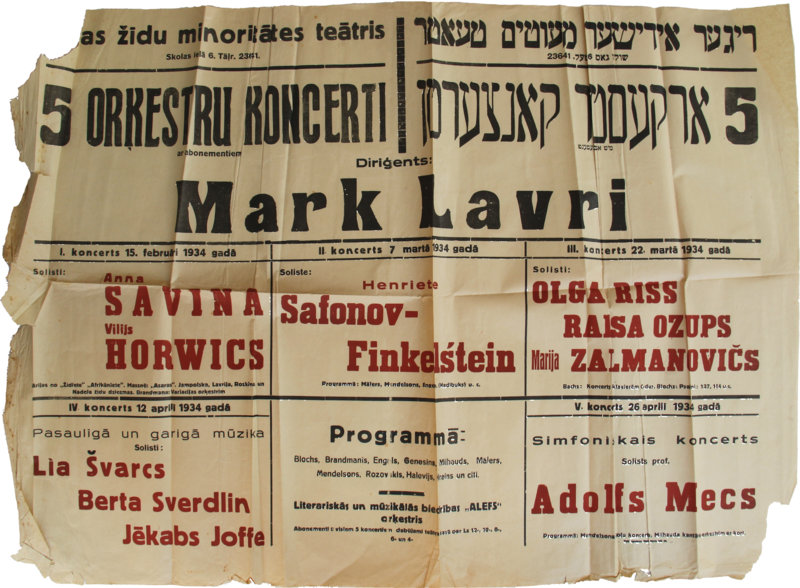 At the beginning of his career, Marc Lavry did not write any works with Jewish themes. Suddenly, during his stay in Berlin between 1928-1933, the composer wrote five Jewish compositions: Jewish Folk Songs for String Quartet (Op. 14), Jewish Suite for String Orchestra or String Quartet (Op. 17), Andante for Orchestra – Tefilah (Prayer) (Op. 21), Hassidic Dance for Orchestra (Op. 22), and Ahasver (The Wandering Jew), Symphonic Poem (Op. 23). All compositions were performed in Berlin and Riga. It is unclear what caused his sudden interest in his Jewish heritage, but it was an important turning point in his work. 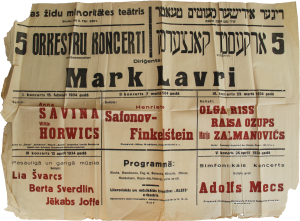 Lavry’s affinity to his jewish culture is apparent in many of his subsequent compositions. The Jewish Suite, Opus 17, which was written before he immigrated to Israel, is written in the style he employed during Lavry’s European Period. The composition was performed in Berlin in 1931 and in Israel in 1936. The Jewish Suite was not performed since. The Tel Aviv Soloists Ensemble, conducted by Barak Tal, will perform the Jewish Suite, Opus 17, at the opening concert of the Classical Series of the 2015-16 season. Haifa – Saturday, October 10, 2015, at 8:30 PM, at the The Rapaport Center for Culture and Art. Tel Aviv – Sunday, October 11 ,2015, at 8:30 PM, at the Israel Conservatory of Music. Kfar Shmaryahu – Monday, October 12 ,2015, at 8:30 PM, at the Weil Community Center. Details about the concerts can be found at the Tel Aviv Soloists Ensemble website. Friends of the Marc Lavry Heritage Society can purchase tickets at a discounted price of 100 NIS. To purchase tickets, please call 054-693-4439 and mention the Society’s name.